Wind down your Sunday on this 3-hour small-group minibus tour! Check out three well-known craft breweries in the Portland, Maine area and end your weekend with a cold one. Our first stop is Island Dog Brewing. Island Dog Brewing was established in 2016 by Jim Denz and Tim Francis, and are now the third brewery to call South Portland home. They produce primarily Belgian and German-inspired beers (including herb and spice ales), and the company name comes from the owner’s love of rescue dogs and the sheer beauty of Coastal Maine. Jim spent time in the Army, worked as a high school teacher, and spent many years working in technology. Jim met Tim, who has experience with home brewing (in addition to a diverse background including retail, food service, and communications) at a beer festival a few years ago. Enjoy their spacious tasting room as you sip on beers infused with ingredients that you didn’t know would taste so good in beer. The next stop is Cellardoor Winery. In 2007, Bettina Doulton bought Cellardoor Winery of Lincolnville, ME. Once she visited Lincolnville in December 2006, and saw the 68-acre, 200-year-old farm that featured a 1790s post-and-beam barn and old farmhouse, as well a state-of-the-art winery across the road, it was a done deal. Cellardoor at the Point is a 5,000 square foot tasting room and event space to tell their story to a larger audience and to pour their award-winning wines in a repurposed space that features a large horseshoe public tasting bar, a smaller private bar that can be reserved for groups, and a large event space suitable for bigger gatherings. Finally, we will stop at Bunker Brewing. 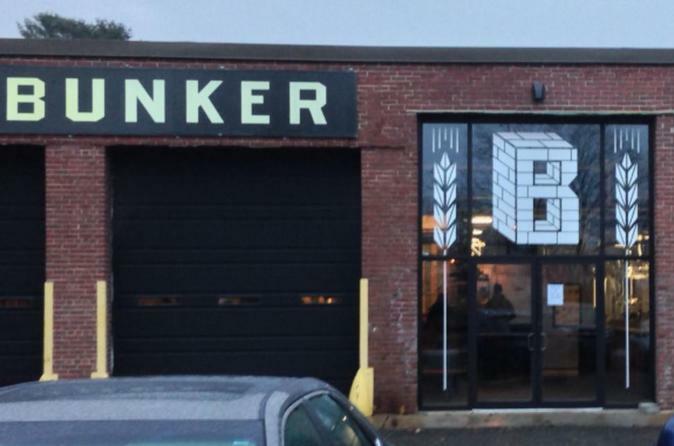 Originally based in a tiny, brick-walled former scrapyard building in East Bayside, Bunker Brewing Company has moved to a much larger former warehouse on the West side of town. Their creative brewers make a rotating assortment of ales and lagers, making this the perfect stop during which to ask the question, “What’s the difference between an ale and a lager?” Enjoy their spacious tasting room and outside patio while pondering that important question over a well-crafted Bunker beer. At the end of the tour, we’ll be dropping you back at Old Port Spirits and Cigars, which is a terrific place to continue exploring downtown Portland for the rest of your evening if you desire! Please note that tour venues and details may change without notice due to unforeseen circumstances. © 2019 Hello Portland - All Rights Reserved.